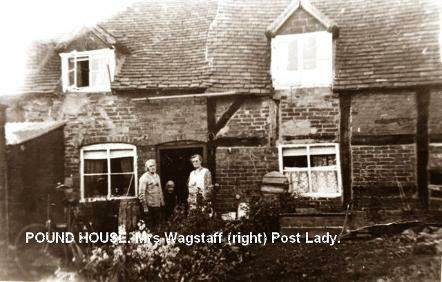 If you know the history of any of these house, please contact us so we can include it on the web site. 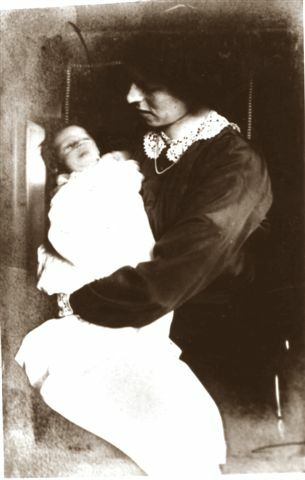 Or - if you have any old photographs - please let us copy them to include on the site. 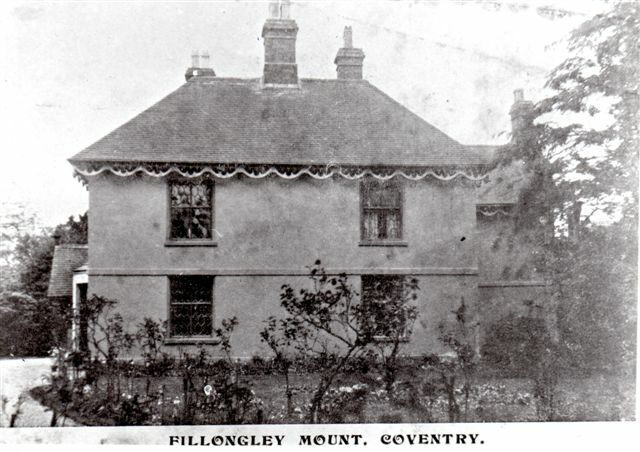 BELOW: THE MOUNT, GREEN END LANE, FILLONGLEY. Mr & Mrs Blackham in horse & trap. ABOVE; ARLEY HOUSE. On the Tamworth Road. 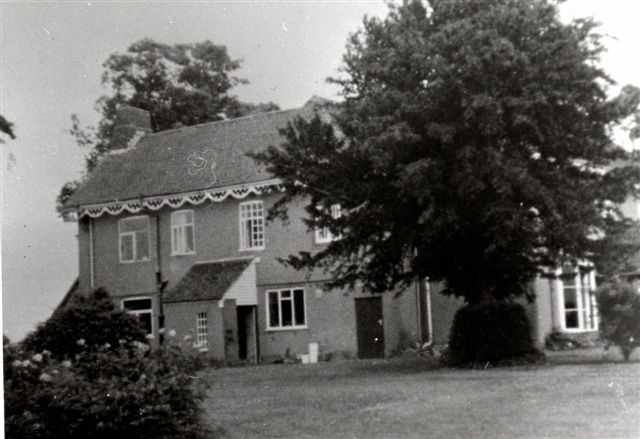 Formerley the home of Mr. E.H. Carter who had been a historian and School Inspector. After the 2nd World War, Winston Churchill stayed here when he was researching his 'histories'. Mr Carter came to a tragic end. He disembarked from the train at Arley Station on the wrong side and was run down by a train. 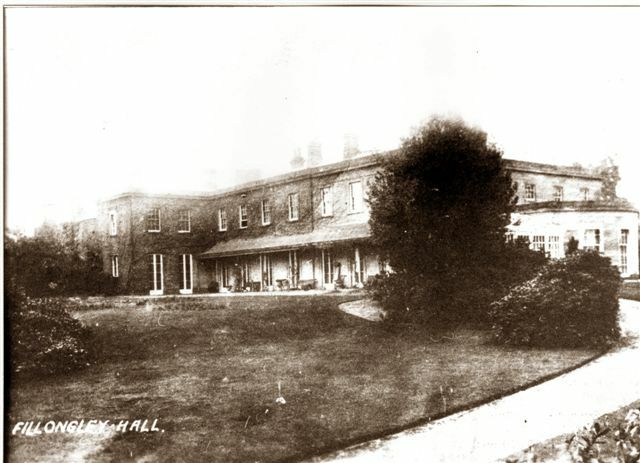 BUILT BY Caroline and Rev BOWYER ADDERLEY 1824 - 5 and extended 1840 They had no children and the estate was passed to his nephew, Hon. Arden Adderley who came into the title, Lord Norton, late in his life. 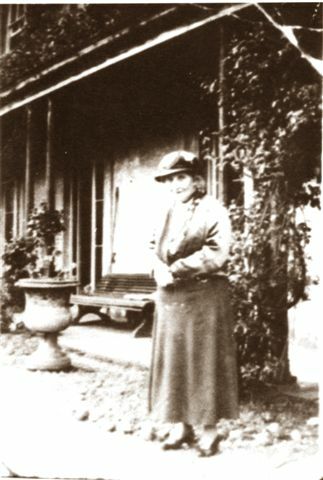 The house was beautiful and had numerous servants. The estate passed quite recently to Lord James Norton, and the house has been sold and is no longer in possession of the Norton family. 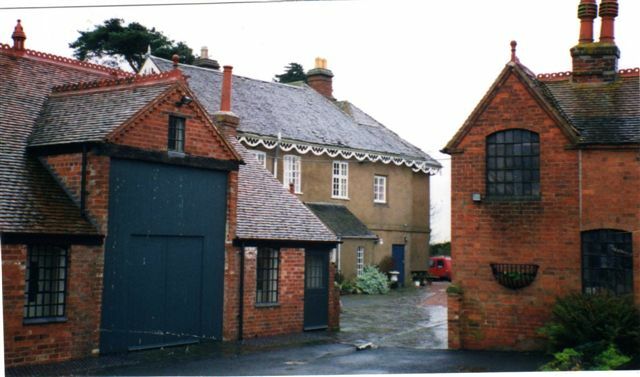 (Above & opposite) THE POUND HOUSE. There was a 'toll road' through part of the village and the 'pound' was to contain animals such as sheep and cattle while the farmers paid their toll to travel on the road. Farmers going to Nuneaton avoided this by using the footpath at the rear of the Pound House and walked up through Berryfields to the Nuneaton Road. There is now a 'new' house on the site of the old cottage. (Above & opposite) THE MOUNT - has an interesting history and dates back to pre 1640. 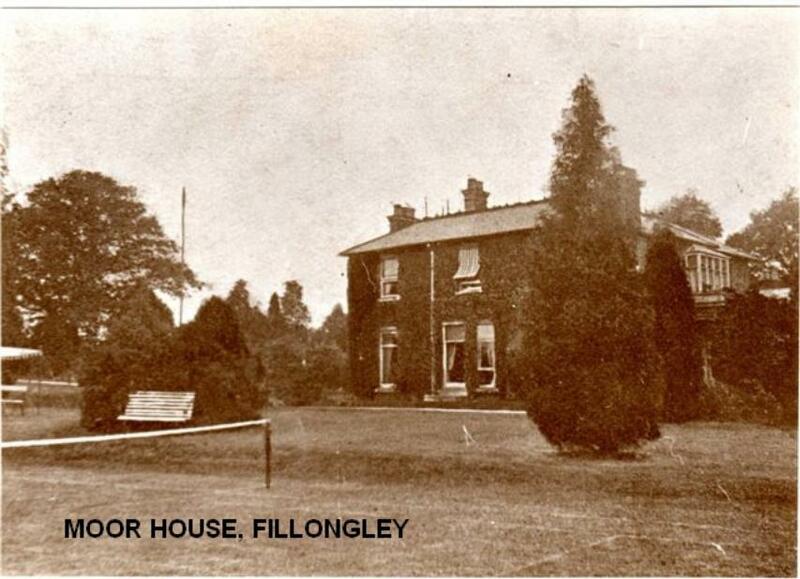 In 1828 Thomas Johnson owned the Mount and also paid for the building of Fillongley Sunday School. 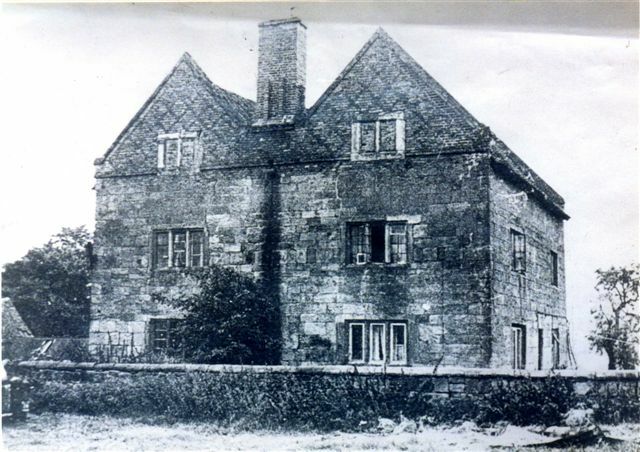 The front and back section were built about 1847. 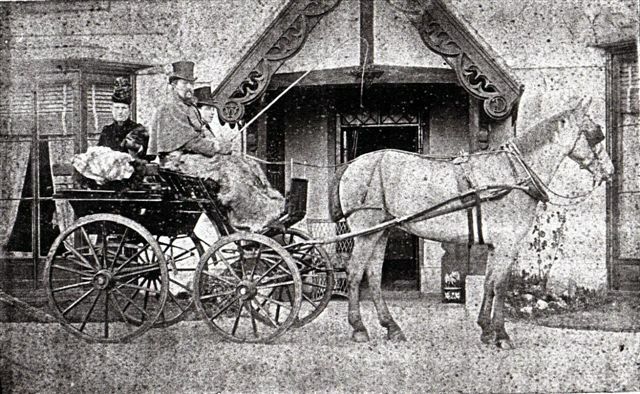 He left the house to his son in law, William Dickinson who was a wood merchant in 1850 and W. D is carved in the wood by the front door. They had seven children and the family went to Australia. 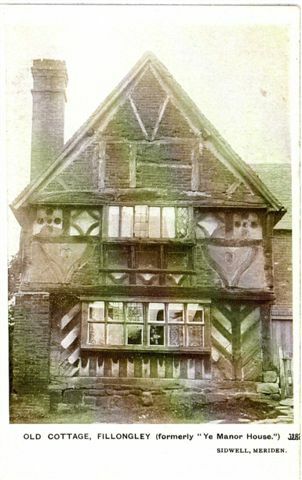 Mr J.P.Blackham owned the house from 1880 and he had the house painted red, white and blue. 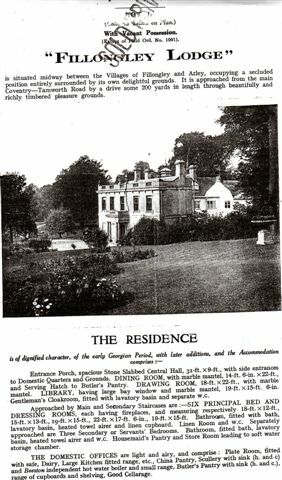 His nephew, Mr Kendrick inherited the house in 1932. It is said that the loss of Mr Kendrick's son affected him so much that he made his family live a life of poverty. When he died he left £290,000 to charity. 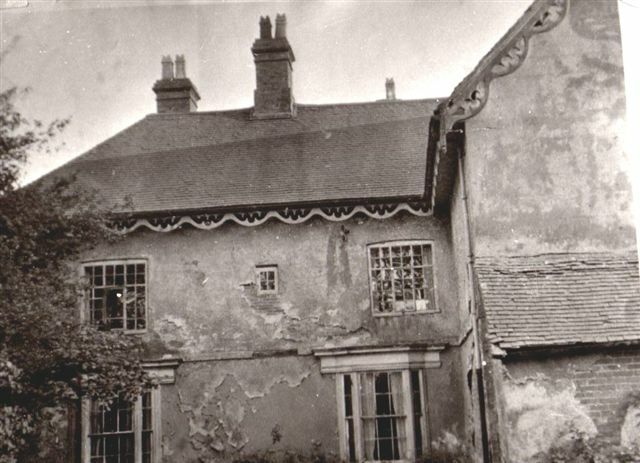 In 1962/3 the house was in very poor condition and condemned. 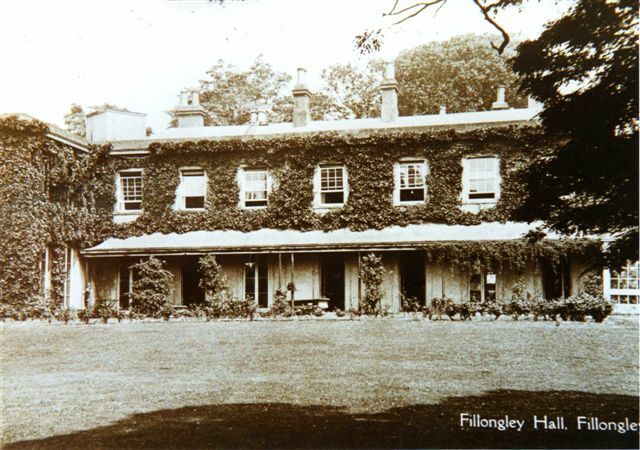 Mr and Mrs Philby purchsed it and spent many years renovating and the barns (picture opposite). The house now has a new owner. 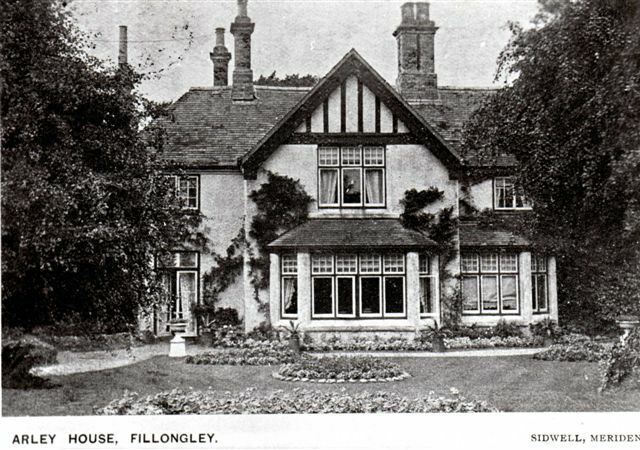 BELOW: FILLONGLEY MANOR HOUSE, Destroyed by fire 1929. Rumour at the time said that the farmer who owned the house was in debt and set the house alight to claim insurance money. 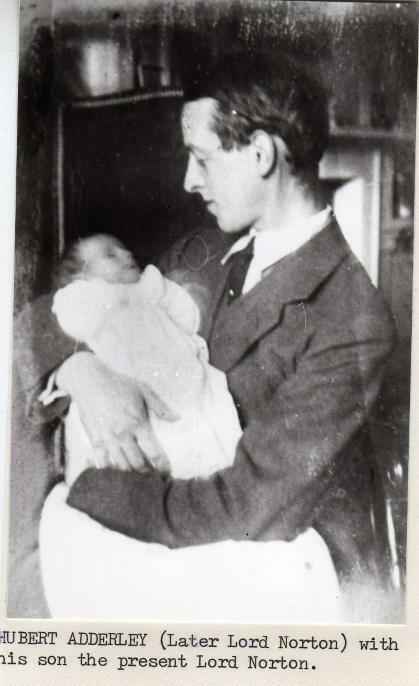 HUBERT ADDERLEY (Later Lord Norton) with his son, Lord Norton (deceased). 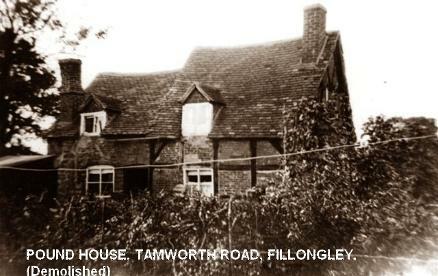 Located on the borders of Fillongley and Arley. Originally occupied by the Vaughtons family (Jewellers) in 1820. The Adams family bought and extended the house in 1840. 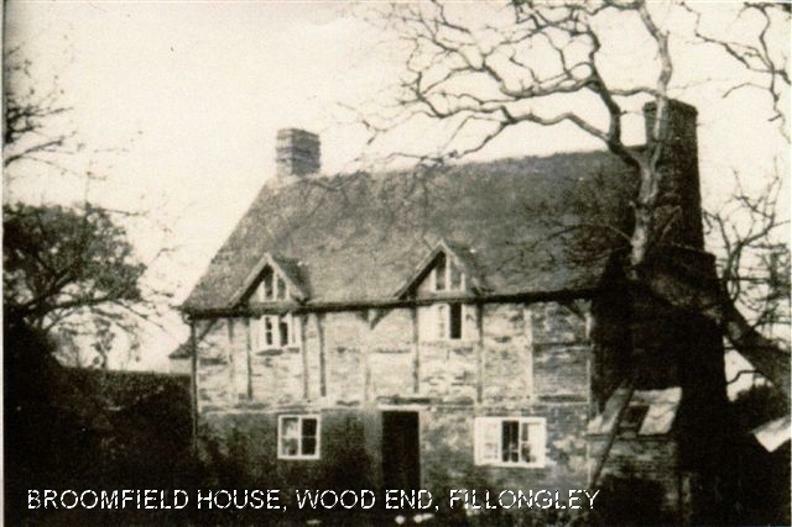 Miss Adams gave the lych gate to Fillongley Church. 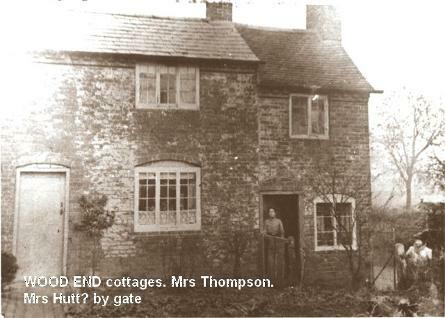 Her nephew sold the house to Kennoth Knox, owner of the Haunchwood Brick and Tile Co., Nuneaton. From 1976 - 1999 it was owned by Ron and Celia Potter. ABOVE AND BELOW: PACKSADDLE HALL. 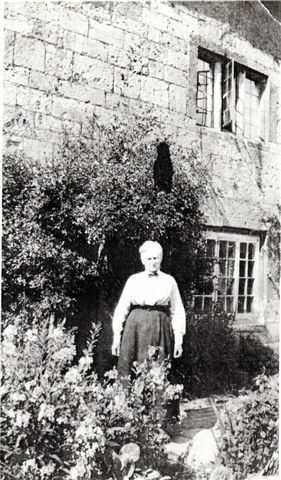 (below Mrs Fanny Gazey). 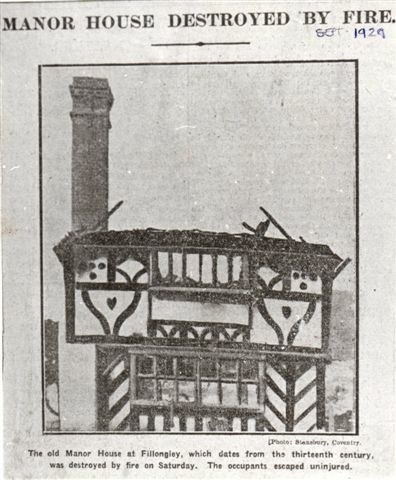 Packsaddle Hall was destroyed by fire c1960? and a new bungalow was built to replace it by John Hassell.